Steven (Chicagoland, United States) on 21 December 2011 in Animal & Insect and Portfolio. 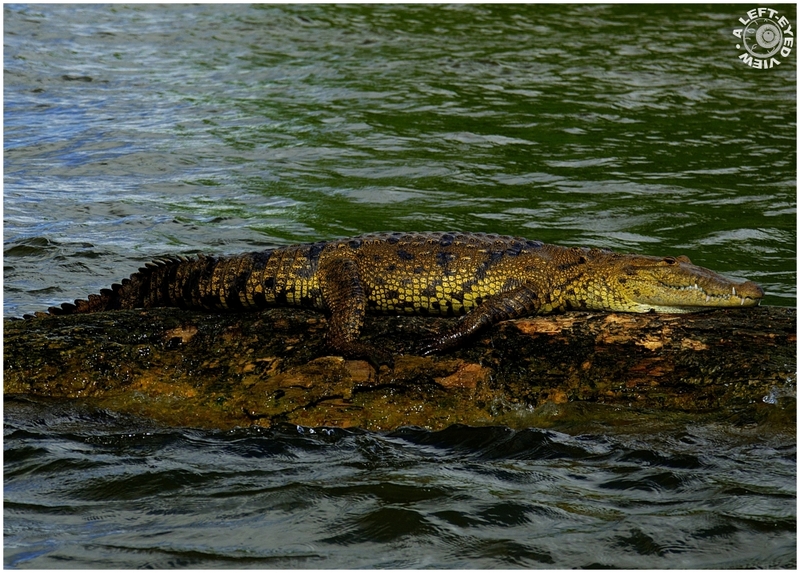 An alligator spotted taking a rest on a large rock, just out of the mouth of Haulover Creek in Belize City, Belize. Photo captured November 16, 2011. WOW!!!!!!!!!!!!!! What an impressive animal. Great capture - and very neat piece of camouflage! One snapper snapped napping by another snapper! Ha ha... good one, Curly. Great shot of this well camouflaged 'gator. The light is beautiful on this alligator, would love some luggage from this one. Well, I guess you don't go swimming there! Great shot! Beautiful animal and so very colorful - excellent shot of this gator Steven!